Let us take the hassle of remembering to check your oil – we measure the daily temperature in your county in Ireland, and your average heating oil use to calculate when you are going to be running low. After each tank fill, we’ll monitor your usage again, and fill when required – no more need for reminders, and total peace of mind for you. Using this historic data, as well as real-time weather data allows us to be very accurate in monitoring when you’ll need oil, which is a much more efficient system than checking it every once in a while when you remember. If you make the wise decision to become a ‘planned delivery’ customer, not only is it less hassle for you, but it’s better for your wallet. 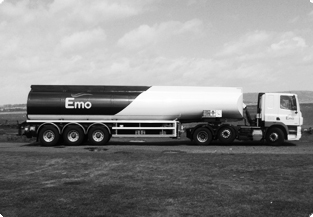 You’ll be guaranteed a competitive price for your oil, no matter how much oil is delivered to your tank. You’ll automatically qualify for the fantastic value 900 litres ‘pence per litre’ price too, so it’s really win-win for you! We’ve saved the best for last, and really there’s no better feeling than knowing come rain, snow or sleet your home will be toasty and warm because you’ll have plenty of oil in the tank, without having to do a thing. Aside from this peace of mind, having no oil in your tank might give you the unnecessary hassle of having to bleed your boiler system if there is trapped air in the system, which is another potential cost to you that can be easily avoided. Our regular prioritised deliveries mean than you’ll never be without oil again, leaving you time to think about other things. 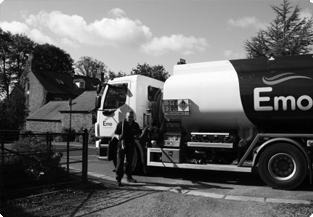 So – planned delivery of heating oil is easy, convenient and you don’t even need to contact us because we’ll do the work for you. Of course, if you would like to be contacted before receiving a delivery, we can email or text you beforehand to make sure that you’re totally satisfied – just another element of our customer service we think you’ll love.